Experience the exceptional performance of an IntelÂ® Solid State Drive E 7000s Series. Available in 150GB and 240GB, the IntelÂ® SSD E 7000s Series offers excellent durability, lasting integrity, security, and performance features across a variety of applications, including digital signage and ATMs. 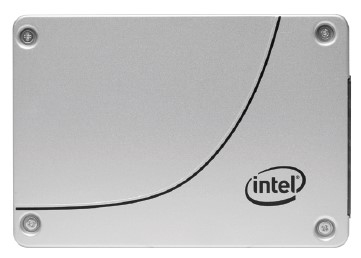 The E 7000s Series is part of the IntelÂ® 3D NAND SSD family of products. Built on breakthrough 3D NAND and delivered by a proven and trusted supplier, IntelÂ® 3D NAND SSDs transform the economics of storage. Lasting integrity and consistency means more value for you and your customers. Cost of service on an embedded drive is often hundreds of dollars per call. While other drivesâ€™ performance may degrade over time, the E 7000s Series offers predictable performance right out of the box and throughout the entire life of the drive. Intel closely evaluates drive fill performance to ensure it is at or near the same level when full as when empty, which helps your business remain competitive without frequent drive replacement. The E 7000s Series offers built-in security through AES 256-bit self-encryption to help protect your data. Power Loss Imminent (PLI) technology significantly reduces the possibility of losing data during a power loss event. Data retention is critical for many embedded applications and IoT solutions. Acts of nature, careless mistakes, or even inadvertent hot removal of the SSD pose a potential power loss threat. PLI continuously prepares for unexpected power loss, protecting your data to help ensure it will be reliably read or written, even during moments of power loss, for complete confidence. With a demonstrated uncorrectable bit error rate (UBER) and protection against silent data corruption, the E 7000s Series helps give your data the robust protection it deserves. The E 7000s Series is designed to work with the entire Intel platform: from CPU, to chipset, to network interface, to firmware and drivers. Youâ€™ll benefit from engineering across all ingredients, not just the SSDs, empowering you to focus on designing the best possible solution for your customers. Your best IoT solutions are built with Intel technology. reliably captures, stores, and manages data to accelerate decision-making.